The new flagship Google device gets rooted weeks before its official launch. 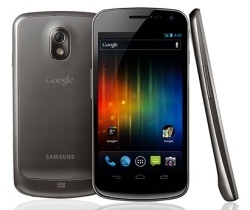 The Galaxy Nexus, Samsung's new flagship Android device and the first to run Android 4.0 ICS has already been rooted by MoDaCo's Paul O'Brien. Samsung is releasing the device on Black Friday, in three weeks. Using his "Superboot" program, users can install a specialized boot image to the Galaxy Nexus which will then automatically root the device on first startup.